Samsung wants its own personal assistant to compete with Google Assistant, Siri, Alexa and Cortana, so they've bought a company that designs them. As confirmed in a Medium post, AI assistant startup Viv Labs has been acquired by Samsung for an undisclosed price. 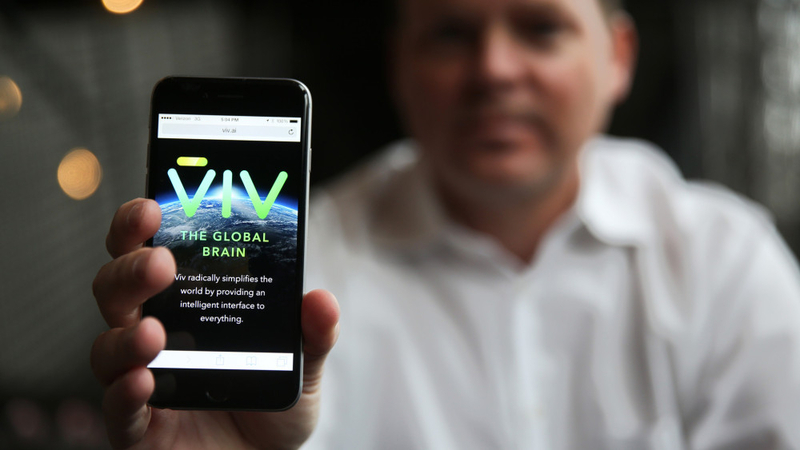 The Viv Labs team, namely Dag Kittlaus, Adam Cheyer, and Chris Brigham, is best known for designing and then selling its previous assistant technology, Siri, to Apple. The team gradually left Apple after the acquisition of Siri in 2012 and formed Viv Labs, who have been working on a next-gen assistant called Viv for several years. Under Samsung, Viv Labs will operate as an independent company and will continue to work on their virtual assistant. Viv is reportedly a more powerful version of Siri with better integration of data and services, with the ability to understand more complex queries and remember important context from previous questions. Viv Labs will provide services to Samsung and their various platforms, but it's not clear whether the assistant or its technology will be available outside Samsung's ecosystem. However it does give Samsung a tool to compete with heavyweights from Google, Amazon, Apple, Microsoft and even Facebook, who are all developing their own AI assistant products. According to Kittlaus, Samsung are setting their signs on "on becoming a major player in software and services, and specifically AI." The fact that Samsung ships more than 500 million devices a year was a tasty proposition for Viv Labs, whose technology could be seen in Galaxy devices and Samsung televisions as soon as next year.